As I write this, my wife is in the kitchen helping our 10-year-old granddaughter make Christmas cookies. As they work, they’re listening to music from the original Star Wars movie. The composer of that epic score was John Williams, who has created the music for—I believe I’m correct—all but one of Steven Spielberg’s films. 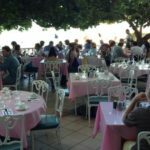 Many years ago, probably in the early ‘90s, I was planning a cross country train trip with my daughter, Ilima, just the two of us. She was perhaps 13 or 14 and played the clarinet in her school orchestra. She was also a huge fan of John Williams, who was conductor of the famous Boston Pops Orchestra at the time. Our plans already included a stop in Boston and a couple of games at Fenway Park, and I had also purchased two tickets to a Pops performance. The day the tickets arrived, it occurred to me that perhaps it might be possible for us to go backstage after the performance so Ilima could actually meet the great John Williams. So why not at least ask? And so I did. 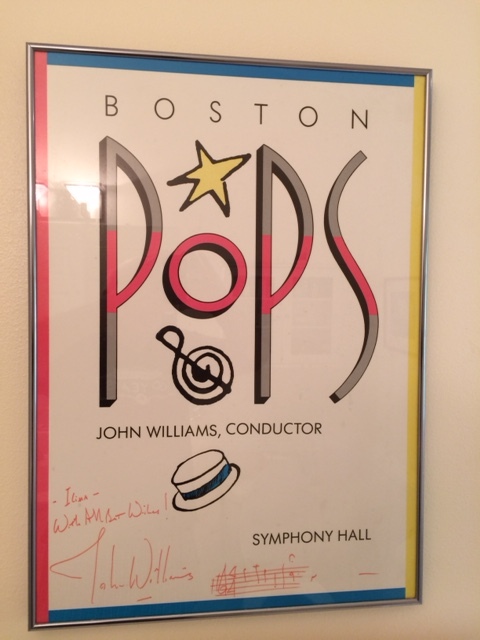 I wrote a letter with that request addressed to John Williams in care of the Boston Pops. About a week later I got a phone call at my office from a woman who introduced herself as “Maestro Williams’ assistant”. Alas, she said, he was going to be on the West Coast and would not be conducting that night. But, she said, if we would come to the Stage Door following the performance, there would be something there for my daughter. And there, to the right of his signature, Maestro John Willams had inscribed—I hope I remember the terms correctly—a staff with a G-clef followed by five notes. But not just any notes … these were the unforgettable, probably immortal five notes that enabled the aliens to break through and communicate with the humans in Spielberg’s wonderful film, Close Encounters of the Third Kind. Wasn’t that a thoughtful, classy thing to do! 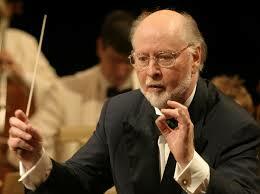 In a few weeks, John Williams will be 86 years old. Aloha and Mele Kalikimaka, Maestro! Previous New Marks Can Leave a Mark. NextMore Speculation re: Amtrak #501. What a wonderful story. I love when you hear about celebrities doing selfless things like this.